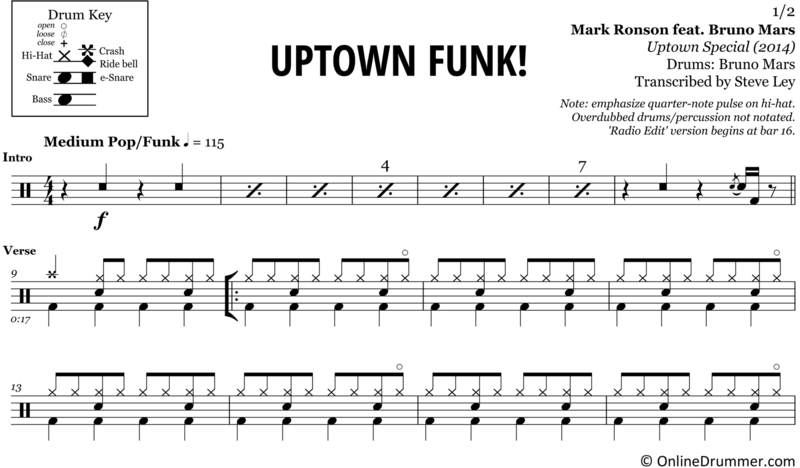 The full drum sheet music for “Uptown Funk” by Bruno Mars from the album Uptown Special (2014). 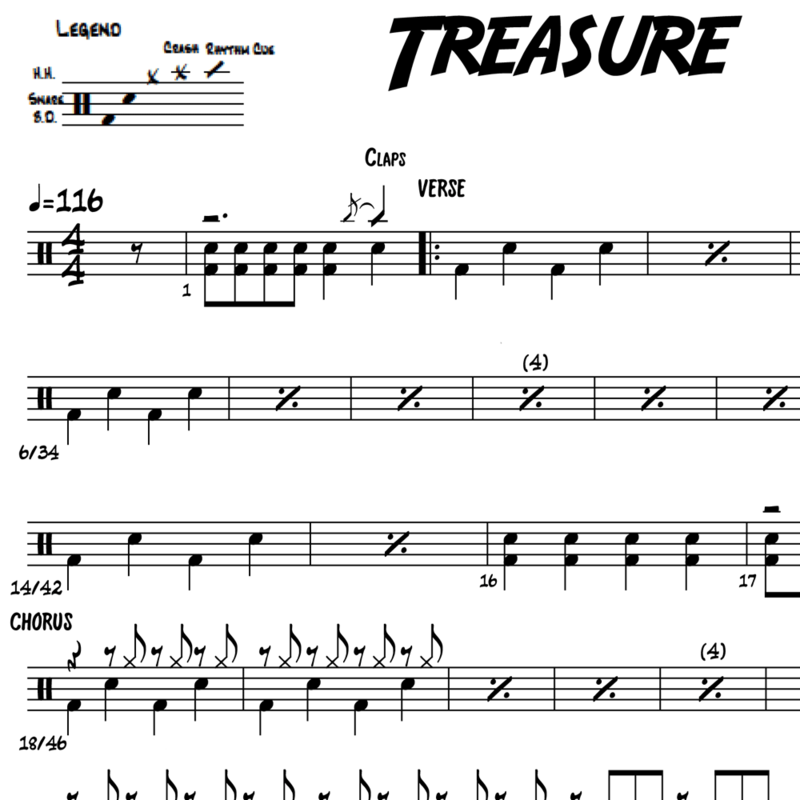 Bruno Mars assumed both singing and drumming duties in Mark Ronson’s 2014 hit, Uptown Funk. A simple four-on-the-floor groove is used throughout much of the song. 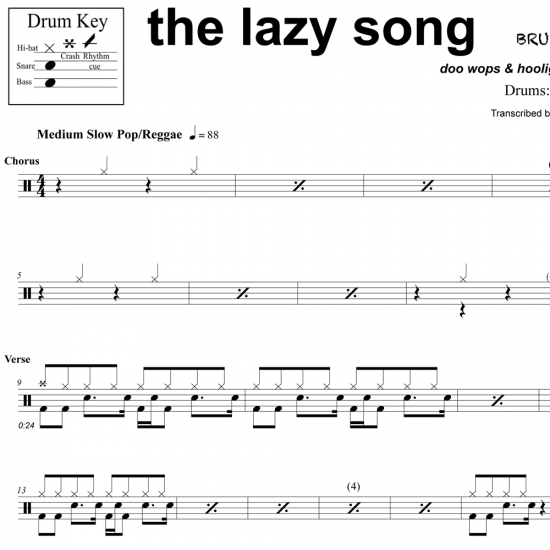 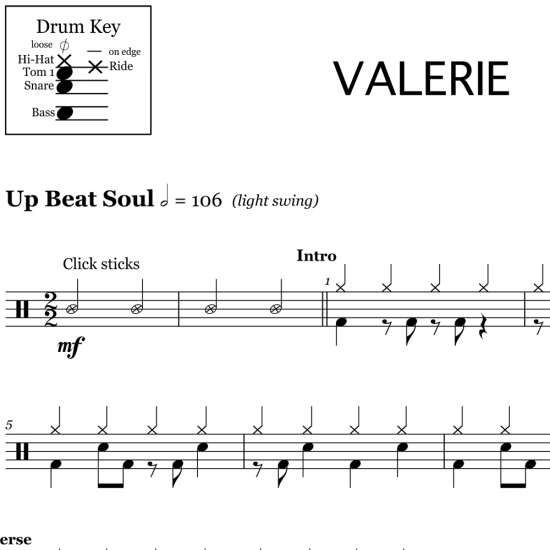 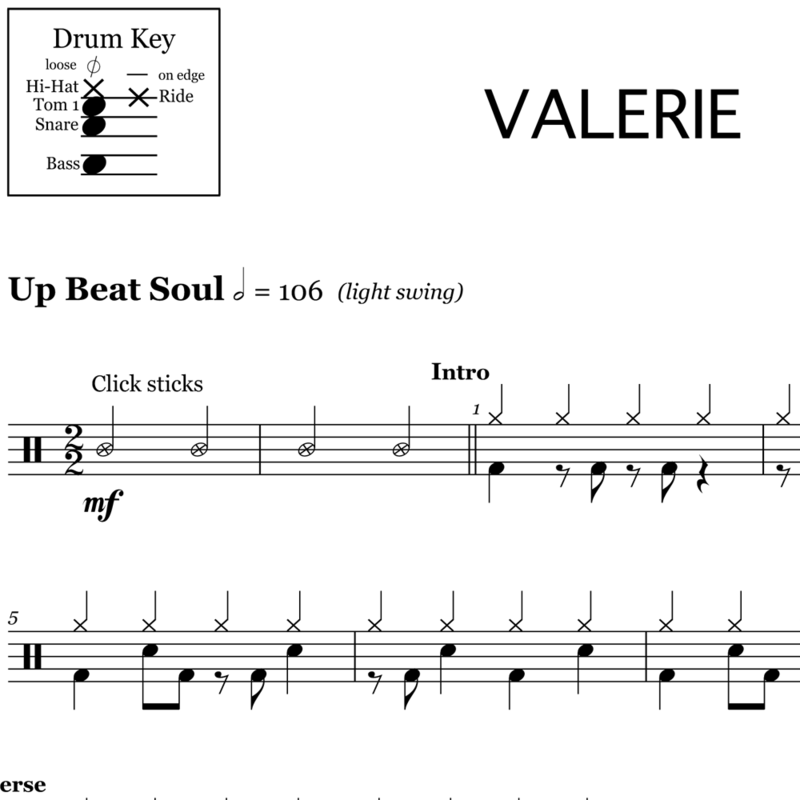 Dynamic builds, flam fills and an off-beat ride pattern is used to accompany the song beautifully. The full drum sheet music for "Treasure" by Bruno Mars from the album Unorthodox Jukebox (2013).